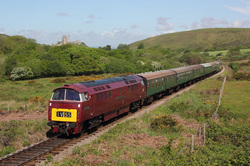 37503 passes through Corfe common,working 1S01,THE 09.50 Norden to Swanage service. 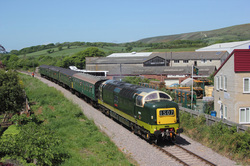 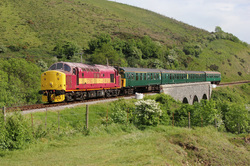 08/05/11 Swanage Railway's Diesel Gala..
D1062" Western Courier" on 1HO1..10.50 Norden to Harmans Cross. 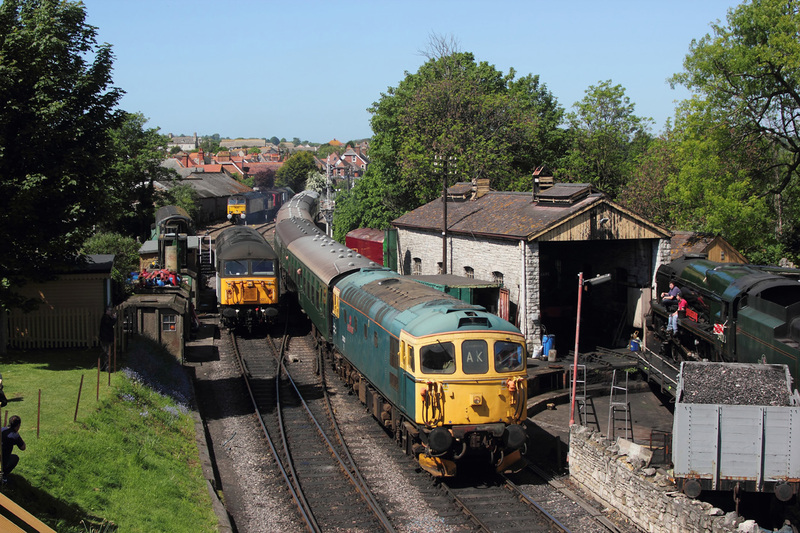 08/05/11 Swanage Railway's Diesel Gala. 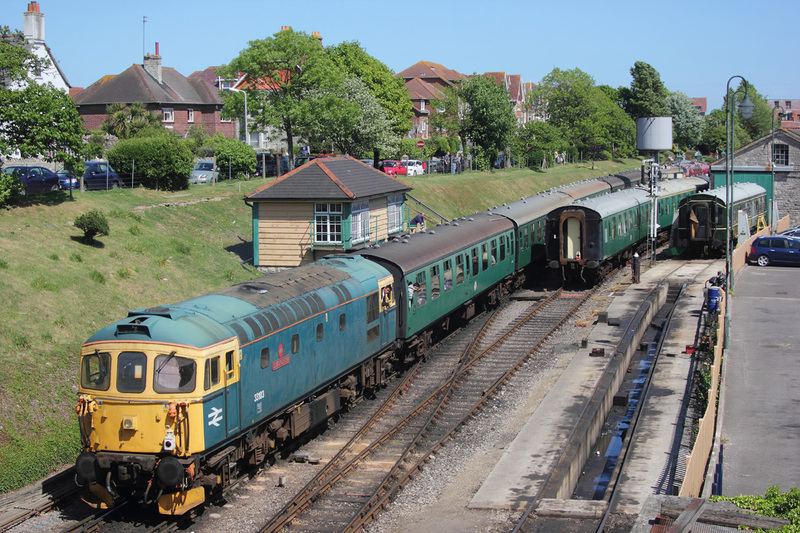 Resident crompton,33103"Swordfish" approaches its destination at Swanage with 1S05,the 11.10 service from Norden. 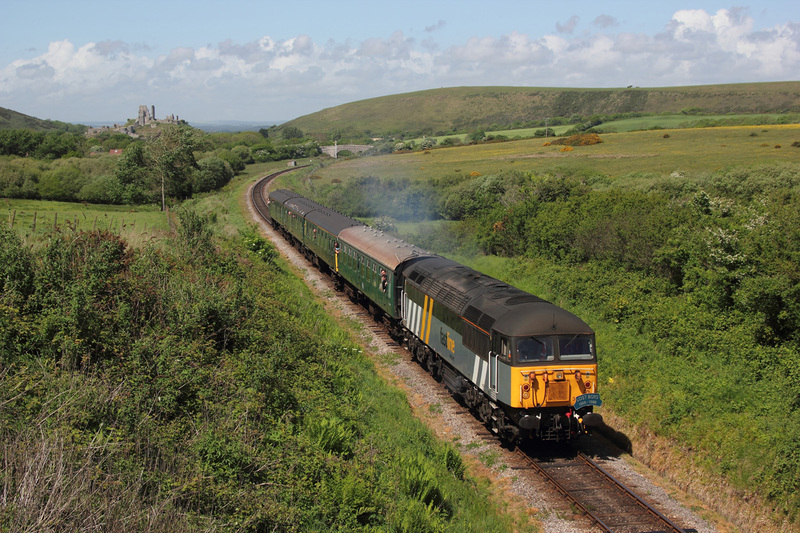 Deltic,55009 "Alycidon" on the outskirts of the Purbeck resort of Swanage,on 1S07,the 11.50 from Norden. 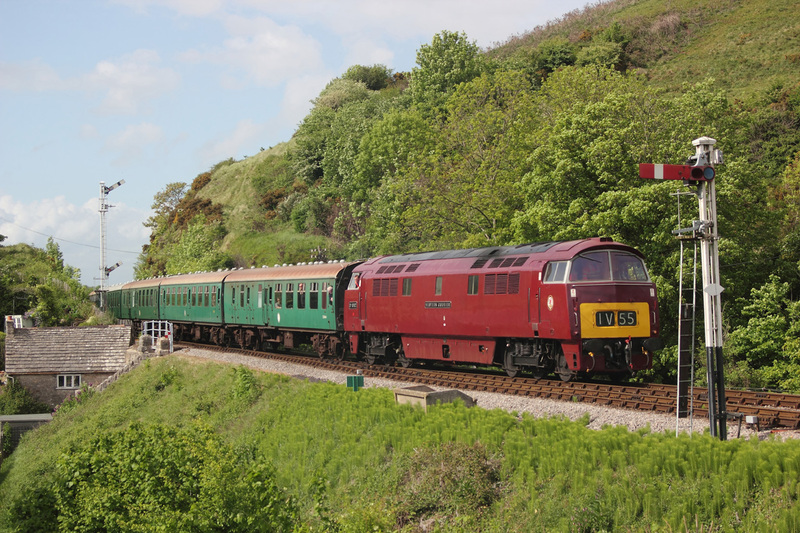 D1062 "Western Courier"1S09,12.30 Norden to Swanage. 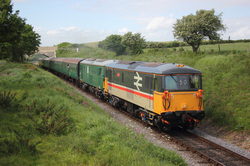 37503 about to pass under the road bridge on the Corfe to Swanage road,working 1H07,the 12.50 Norden to Harmans Cross service. 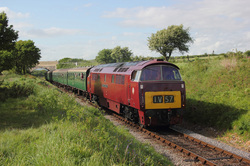 Fastline liveried 56301, having departed from the Corfe stop,passes through the common on 1S11,the 13.10 from Norden. 56301 approaches its destination at Swanage,with 1S11,THE 13.10 from Norden. 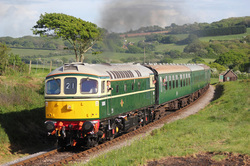 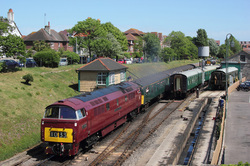 D1062"Western Courier" departs Swanage station on 1N28,the 13.50 to Norden. 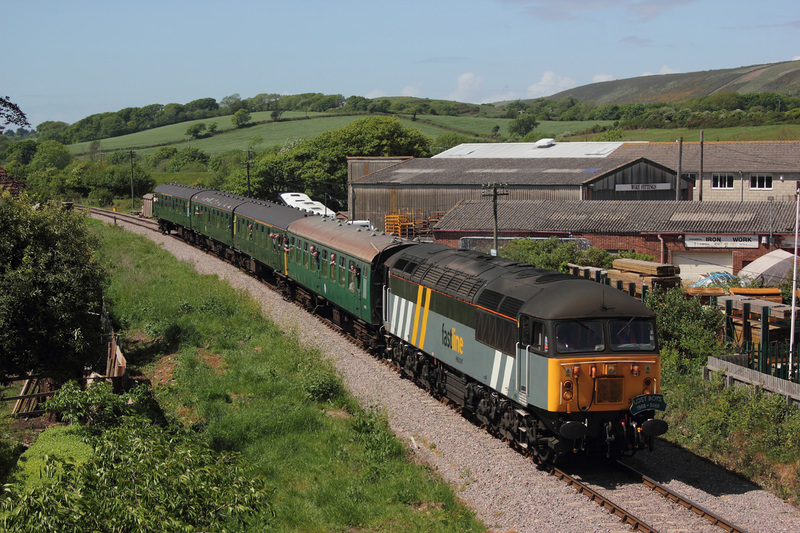 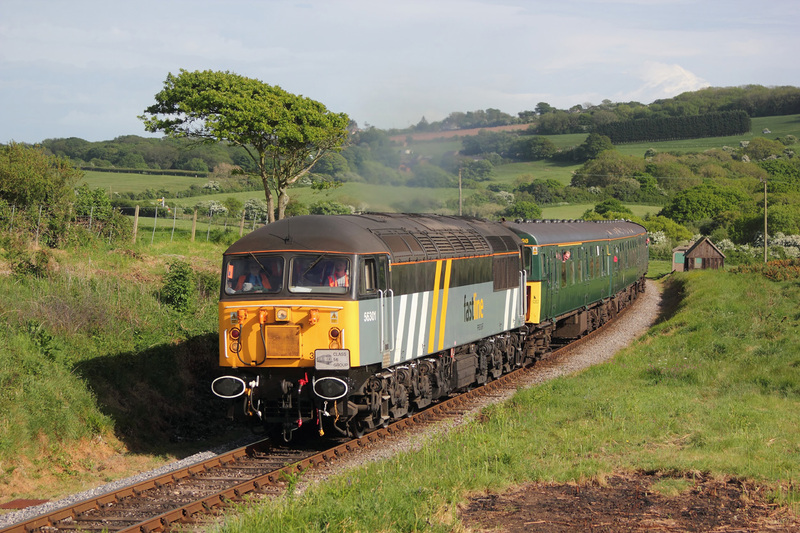 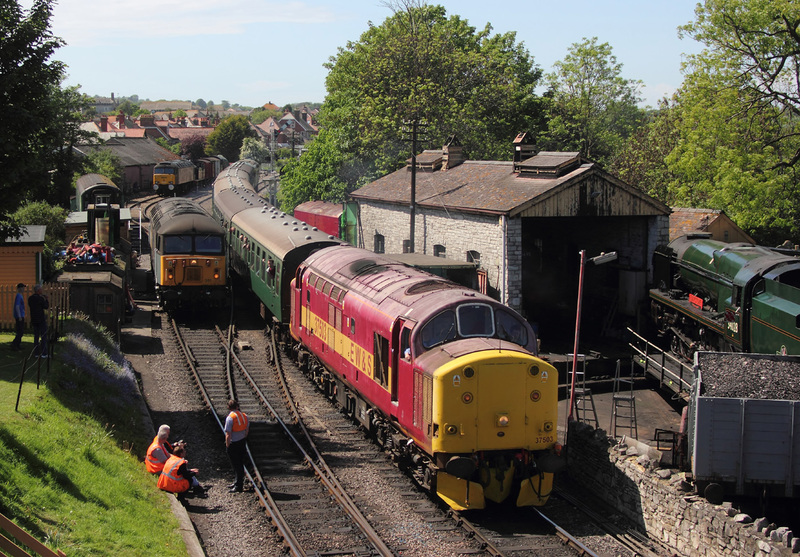 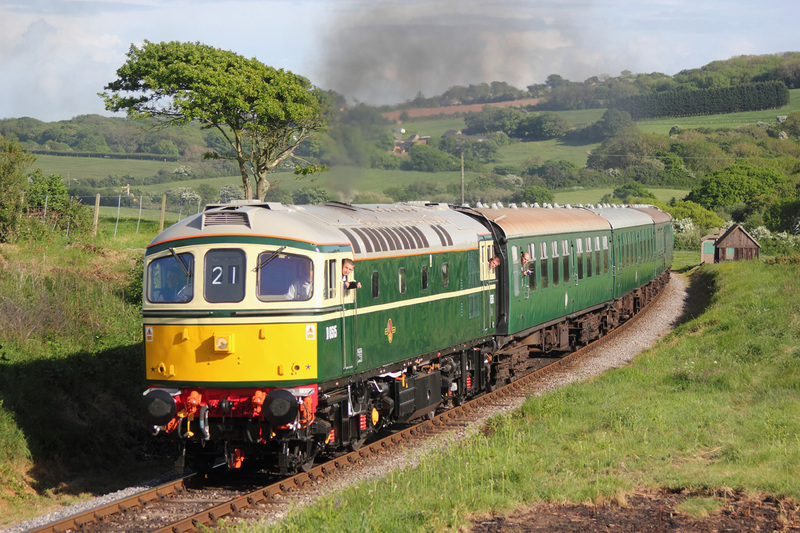 08/05/11 Swanage Railway,s Diesel Gala. 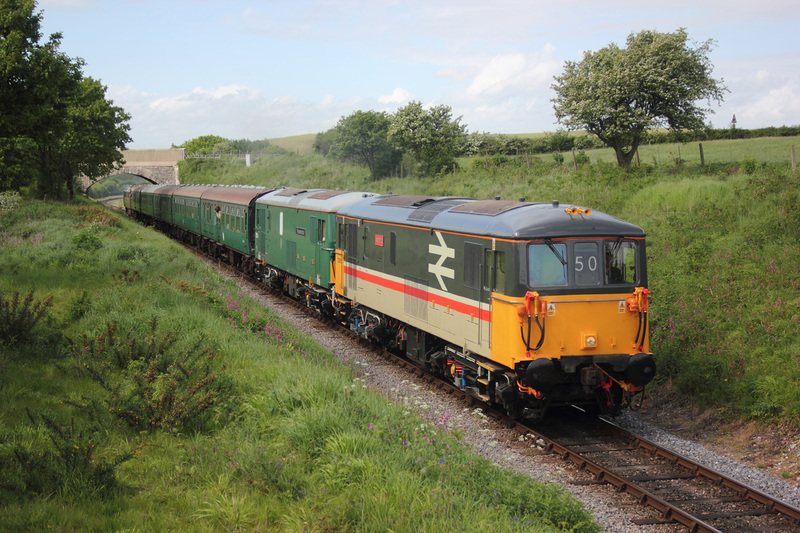 Fastline liveried 56301 manouveres to the stable point having previously worked 1S11 from Norden. 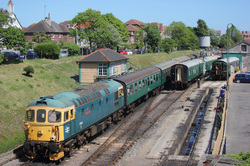 37503 arrives at Swanage with 1S13,the 13.50 from Norden. 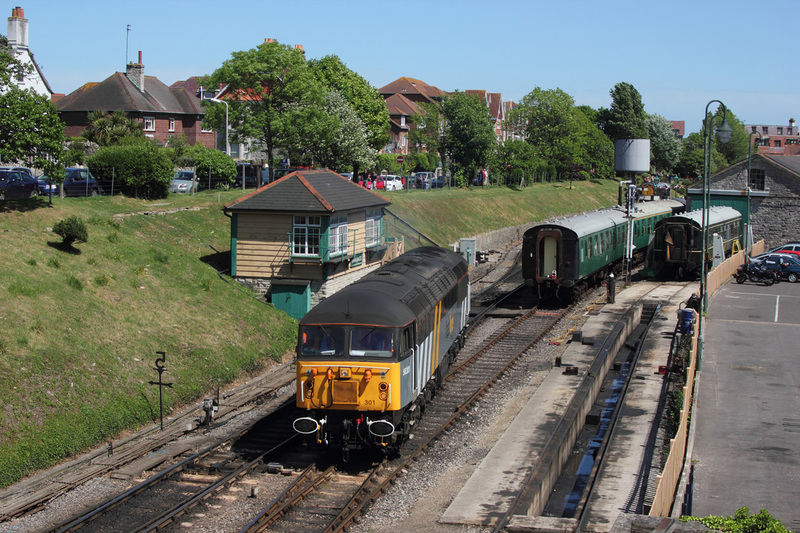 Bringing up the rear is Swanage resident crompton,33103"Swordfish" approaching the station on 1S13,the 13.50 from Norden,headed by 37503. 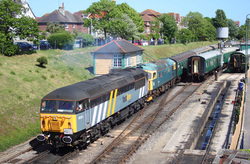 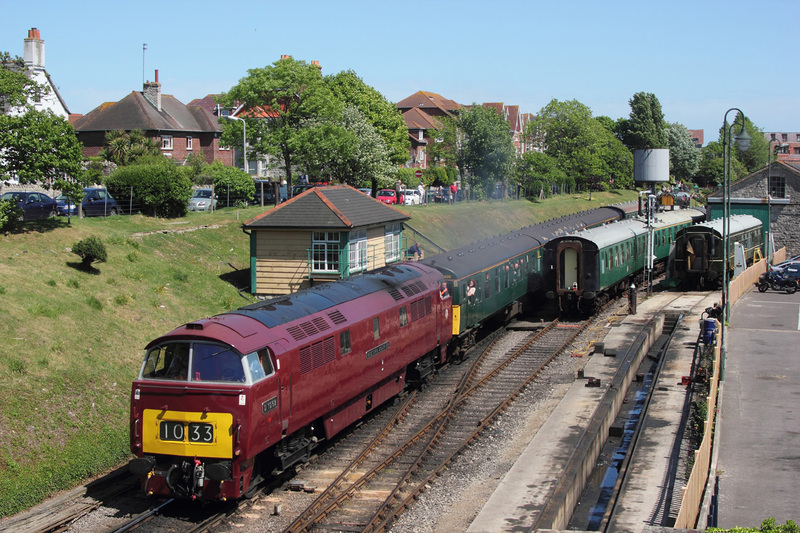 Unlikely pairing of 56301+33103 "Swordfish" seen departing Swanage on 1N32,the 14.30 to Norden. 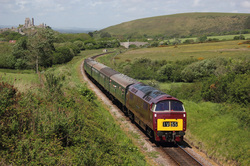 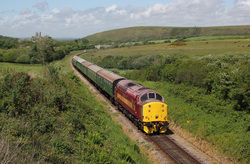 Recentley repainted 73205"Jeanette"+sister 73136 pass by near Corfe with 1N13,the 14.50 Norden to Harmans Cross. 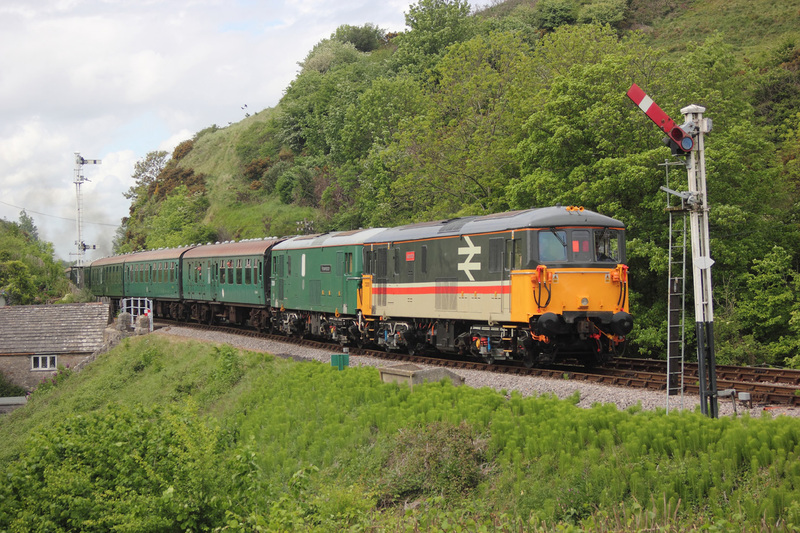 73205"Jeanette"+73136 tailing on 1N34 Harmans Cross to Norden,seen here departing Corfe station. 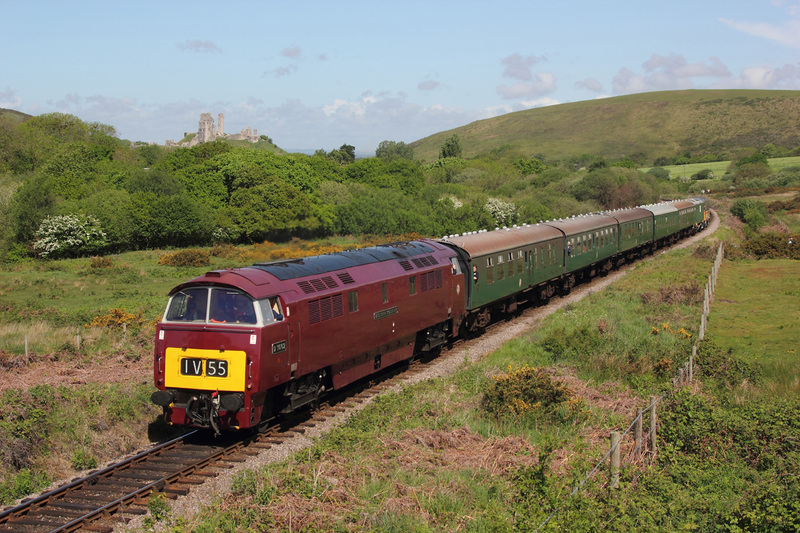 D1062"Western Courier" approaches the Corfe stop,on 1N15 ,15.30 Norden to Harmans Cross. 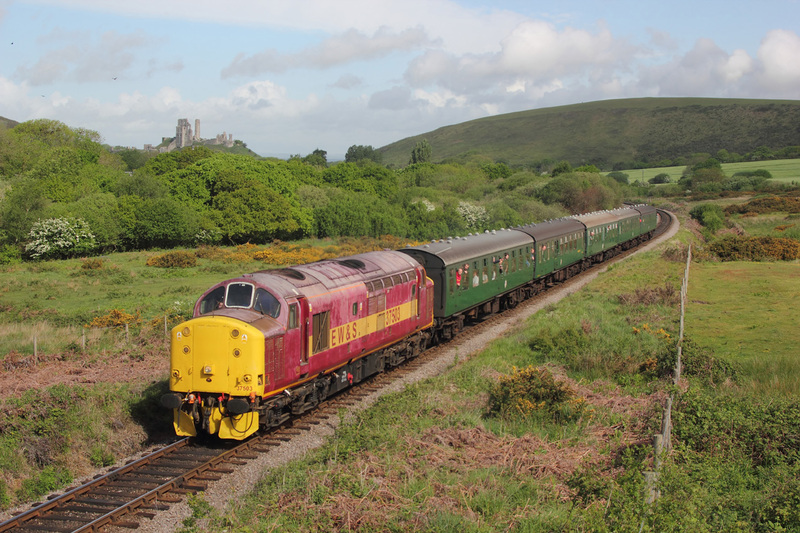 37503 nears its destination,of Norden with 1N36,the 15.10 from Swanage. D1062"Western Courier" passing on 1S23,the 17.10 service to Swanage,from Norden. 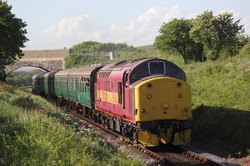 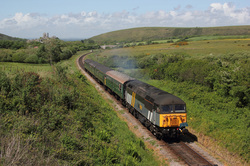 08/05/11 Swanage Railway's Diesel Gala,Corfe Common..56301..1N44..16.30 Swanage to Norden. 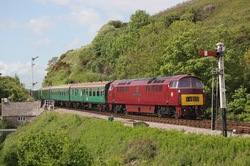 D6515 ..1N46..17.05 Harmans Cross to Norden.